Washington planned war on Yemen months ago – preemptive naked aggression by any standard with Saudi-led proxies doing Obama’s dirty work. Plus direct US involvement. 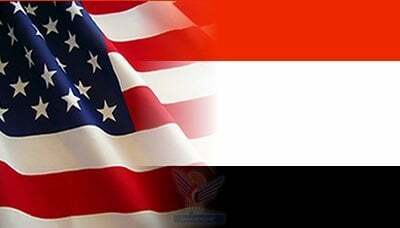 Reports indicate one or more American warships shelled Yemeni targets. Israeli warplanes are involved. Millions of Yemenis are experiencing the horrors of Obama’s terror wars – including willfully targeting residential areas, hospitals, schools, power facilities, Yemen’s largest food storage center and largest dairy plant, and other nonmilitary sites. Noncombatant men, women and children are being murdered and maimed in cold blood. Bodies are piling up in streets. Yemeni terror bombing survivors report the ground shaking beneath their feet. “We are thankful to Russia and (President) Putin for organizing the evacuation. A French evacuee called nightly terror-bombing impossible to bear. A Russian citizen airlifted out feared her children would die. “The whole city (Sanaa) shook from all sides. That is what made me leave,” she said. Washington provides intelligence, air-refueling, logistical help and terror-bombing targets to strike – including residential and other nonmilitary areas murdering civilians. On Wednesday, at least six children died and others were injured when Saudi warplanes terror-bombed a school in central Yemen. Doctors Without Borders (MSF) said many injured have no access to healthcare. The ICRC indicated it’s very hard delivering desperately needed medical supplies. A spokesperson said if they don’t reach Yemen soon, many more people will die. Over 100,000 Yemenis have been displaced. Others join them daily – fleeing for their lives, many with nowhere to go. It bears repeating. Obama’s war on Yemen is naked aggression by any standard. “It is about the United States, by means of its proxies and puppets Saudi Arabia and the Gulf Cooperation Council (GCC), trying to reassert its control over Yemen because of its strategic location,” he explained. Article 53 prohibits military force without Security Council authorization. None was forthcoming – nor will there be any. Russia and perhaps China won’t permit it. Horrific ongoing crimes of war and against humanity are being committed. Catastrophic conditions worsen daily. On Tuesday, Defense Secretary Ashton Carter signaled possible greater US involvement saying Al Qaeda’s activities in Yemen are expanding. It’s vying for greater power, he said. Al Qaeda is a US creation. It’s used as both ally and enemy in different conflict areas. Carter didn’t explain. Will Washington get more directly involved in Yemen’s conflict it initiated? It remains to be seen. One thing looks certain. Another US targeted country is being ravaged and destroyed. Millions of lives are at risk. Many tens of thousands may die before fighting ends. It could continue for years. Obama didn’t wage proxy war on Yemen to quit – not until Washington regains control of its former client state.